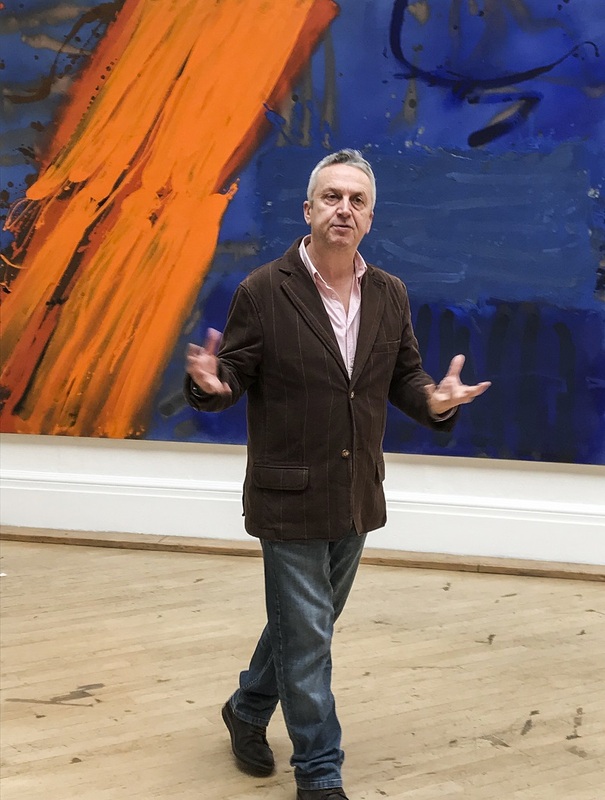 Steward Geddes PRWA is a renowned abstract expressionist painter, with work in numerous public collections including the Royal Collection and the Royal College of Art. Based at BV Studios in Bedminster, Bristol, he has shown widely in the UK and overseas. He also teaches fine art – currently as an Associate Lecturer at Bournemouth Arts University and at the University of Gloucestershire. He studied at Bristol Polytechnic under Alfred Stockham in the 1980s, and later at the RCA. 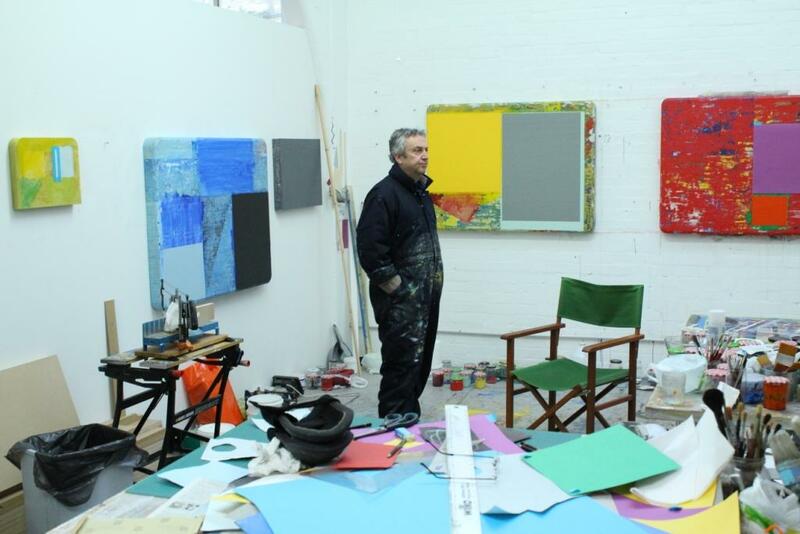 An Honorary Academician of both the Royal Academy and the Royal Scottish Academy, Stewart was elected President of the RWA in September 2016. When I had my first birthday party at primary school, and everyone else seemed to have decided I was the artist in the tribe, and bought me drawing things as presents. It’s an inner need. A simple yet profound correspondence with myself. Besides I’m dyslexic, so I’ve always preferred ‘looking at the pictures’. What is your usual process for making an artwork? How important is the process? I go to the studio from 9am until 6pm. As Picasso said, “Yes I do believe in inspiration, but it has to find you working”. The process is a still point in a turning world. I find ‘resolution’ through the process. I used to be a plein air urban landscape painter. I began thinking about Cubism and the idea of being a consciousness that moves around and through space, rather than a fixed point. Once I did that, abstraction was a logical outcome. You have spoken of your work as exploring the ‘Modern Ruin’. What do you mean by that concept? That concept has drifted out of the work now, but at one point I was particularly interested in buildings that had once been new in my lifetime, but are now in a ruinous state. This type of ruin is not part of the tourist industry – they’re basically just a neglected edifice. In line with the Surrealist idea of a defunct and/or broken object being liberated from function toward poetic meaning, ‘Modern Ruins’ have that poignancy. I once read something by Robert Harbison in which he talked of such material enabling an insight into the remoteness of childhood. That struck a chord. You were elected President of the RWA in 2016. What did that mean to you – and what sort of role has the RWA played in your life as an artist? It was quite an honour in that I was elected by my fellow artists. It seems to me that if we can get the right investment into the RWA, it can be an even more wonderful exhibition venue and social space. I think the calibre of the recent shows is making the RWA relevant to the debate around Fine Art, and I’d like to help develop that further. 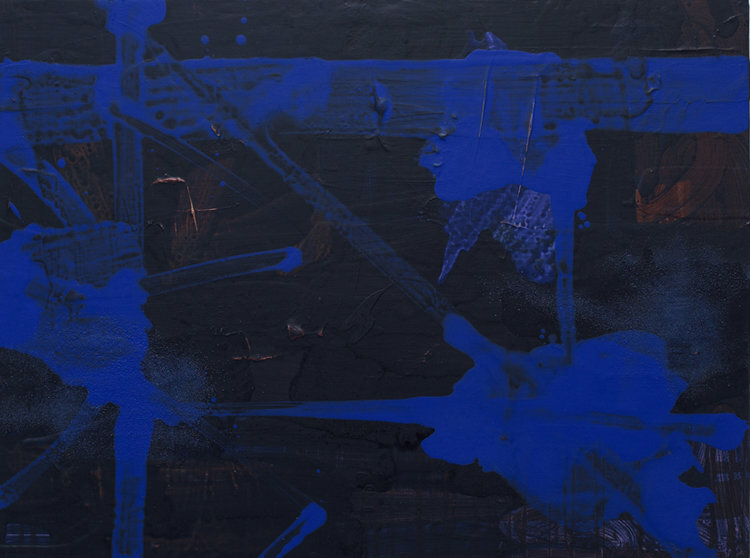 You curated the RWA’s superb Albert Irvin and Abstract Expressionism exhibition. Does curation influence (or interfere with?) your own art? I’m very proud of ‘Albert Irvin and Abstract Expressionism’, and I was extremely fond of Bert, but I’d like to get on with my own painting now – I’m knackered! I have a show at an interesting gallery just outside Wells called Andelli Art in April. I’m working toward that at the moment. At the moment – this does change – something from the 19teens by Matisse. It was his most Cubist phase, and I think the mix of his visual opulence and the rigour of Cubism works brilliantly. You can see more examples of Stewart’s work on his website.